Afraid of the dentist? Fear no more. Once you’ve experienced intravenous sedation dentistry by Dr. Wiland, you’ll never be afraid to return to the dentist again. Conscious sedation dentistry is a term used to describe a tecnique where medicines are used to make a person relaxed during dental proceduires. How much and what type of sedation you choose is up to you and Dr. Wiland and will depend on the treatment needed, your medical history and your level of anxiety. There are several different ways a person can be sedated. 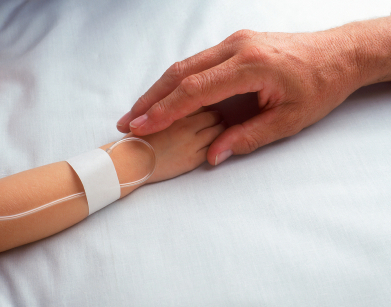 Intravenous (IV) sedation is when the medicine is given into a vein in your arm or hand. It works more quickly than oral sedation, so the level of sedation can be adjusted more precisely for your needs. Dr. Wiland can adjust the level of sedation as needed throughout treatment. The most common medications for IV sedation in the dental office acts quickly and wears off fast making them safe and useful medications. They also have a very good amnesic affect so you do not remember the procedure. Oral sedation involves medications taken by mouth before a procedure to produce a relaxed feeling. The effect depends on the strength of your prescription and variations among different individuals. It takes a longer amount of time to evaluate each persons responce to a given amount of medication taken orally than with intravenous sedation. Recovery time is a little longer with oral sedation dentistry. As with all sedation, you'll need someone to drive you to the office before the procedure and home after your dental tretment is completed. Nitrous oxide is a safe and effective sedative agent that is mixed with oxygen and inhaled through a small mask that fits over your nose to help you relax. Nitrous oxide, sometimes called “laughing gas,” is one option your dentist may offer to help make you more comfortable during certain procedures. It is not intended to put you to sleep. You will be able to hear and respond to any requests or directions the dentist may have. Your dentist will ask you to breathe normally through your nose, and within a few short minutes you should start to feel the effects of the nitrous oxide. You may feel light-headed or a tingling in your arms and legs. Some people say their arms and legs feel heavy. Ultimately, you should feel calm and comfortable. The effects of nitrous oxide wear off soon after the mask is removed. No matter which type of conscious sedation dentistry you choose, Dr. Wiland will still need to provide local anesthesia to ensure that you don't feel any pain. Local anesthesia is the injection to numb you before the procedure. Because this is done after you've been sedated, you should feel relaxed and comfortable. With IV sedation most of the time you do not remember getting numb or anesthetized.